This page displays all the campervans that are available for hire in Morayshire . 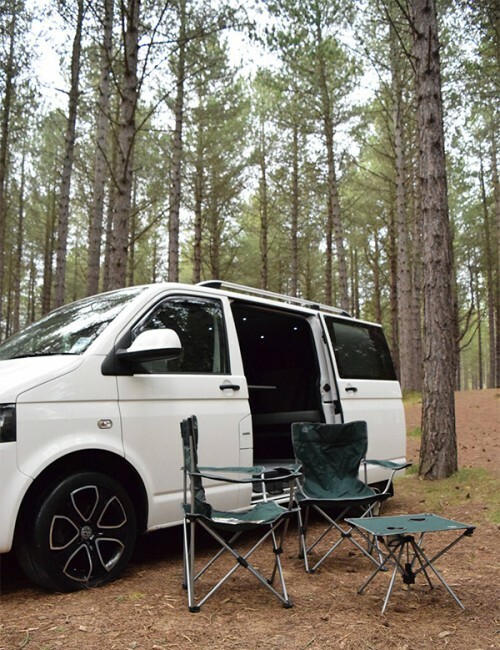 If you would like further information or to speak to the camper's owner about hiring their van please visit their Camperbug page, by clicking below. I am EarlT5, hire me today! Earl is a 2010 VW Transporter T5 4-Berth Campervan. Perfect camper hire for a couple looking for a romantic getaway, or a family with it\'s brand new pop-up roof providing an extra 3/4 bed or additional height space. The option of a \'Drive-away\' awning which provides additional living space, together with an inner tent for further sleeping accommodation is also available for this camper. A 2002 Toyota Alphard. The van had just been converted in very good condition. All the facilities provided that you need for a comfortable and safe journey.